David Morgan is both a prolific and versatile writer, publishing scholarly books in American history and culture as well as, in this case, popular fiction. While I am not much of a reader of this type of fiction, I have had a good deal of experience with the long tradition of heroic literature that Marcus Aurelius Strong fits into. During my childhood afternoons after school, I religiously listened to The Lone Ranger and The Cisco Kid on the radio, and later I loved the television westerns like Have Gun, Will Travel. When I was in college, I read medieval chivalric romances, becoming familiar with this world of good guys and bad guys where heroes take the liberty of stepping outside normal law-enforcement structures to administer justice, using violence when the situation demands. Marcus Aurelius Strong, a widower who has retired after a thirty-year career with the Secret Service, is well-known for his bravery and intelligence, having actually saved the life of a president he was charged with protecting. But now he is bored and looking for something to recapture some of the excitement of his old job and at the same time defend the weak and mistreated victims of evildoers. As it happens, there has been a series of robberies at rest stops on Interstate 95 near his home in Maryland, and none of them has been solved. He determines, as vigilantes are given to do, that law enforcement has higher priorities and thus is not moving fast enough in solving these crimes. Thus he will intervene. Before long, Strong learns that one of the I-95 gang has been killed by David O’Mara, a retired FBI man who, with his daughter, was accosted by the band of robbers at a rest stop. Shortly thereafter, Strong enlists this man and a college buddy, another FBI man named Charlie Greenburg, in his plan to move against the gang, no longer proceeding as a lone wolf but leading a posse comitatus. Soon Strong and his posse discover that the man O’Mara killed is the son of an Irish Mafia boss named Blinky Moran, whose other son Tommy was the leader of the I-95 gang and was on the scene when his brother was killed. To get revenge on O’Mara, Tommy takes his gang to plant a bomb at O’Mara’s beach house, but he finds himself in a shootout with the guards at the house. One gang member is killed, but Tommy is not caught. This sets in motion a number of attempts by Tommy’s father to save Tommy from capture—first sending him to California and later to Ireland, where Tommy will stay with his grandmother, an avid IRA supporter, whose son Blinky had to emigrate to America because of his political activities with the IRA. The danger in reviewing a novel like this is that one can give away too much, and surely any summary of the action would not do justice to the narrative. But suffice it to say that this book tells an exciting story that moves along at a rapid rate. David Morgan’s greatest strength in this novel is his remarkable ability to create plot. No chapter ends without the reader anticipating something happening in the next chapter—a meeting, a telephone call, a trip, a confrontation, a stakeout. Popular fiction such as this does not struggle much with the complexities of character. The only character here in which one sees any moral complexity is Tommy, who has both good and bad angels perched on his shoulder and is capable of listening to either. Other than Tommy, the characters are pretty much stereotypes. That doesn’t mean they are uninteresting; it means, in this book at least, that they live in a world of moral certainties and have little capacity for self-doubt. 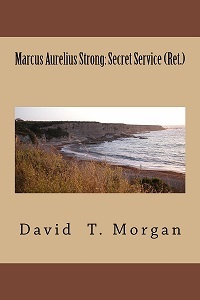 Marcus Aurelius Strong: Secret Service (Ret.) is an extremely entertaining book. The writing is fluid, and, though there is a large cast of characters, the reader is never confused about who is who. It occurs to me that with summer coming this would be a perfect beach read, and I highly recommend it. Norman McMillan is the author of the memoir Distant Son and of the plays Against a Copper Sky and Ashes of Roses.